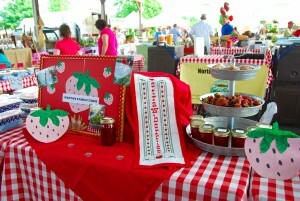 Strawberry Festival time is here! 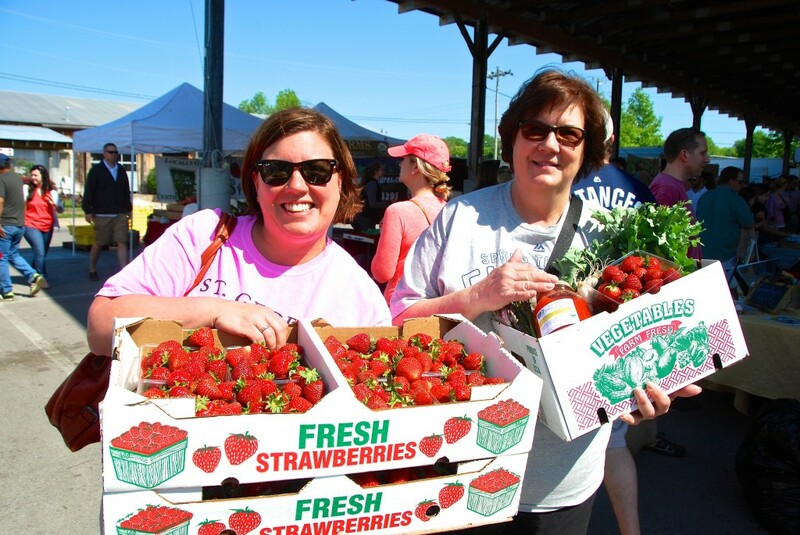 It’s the first sweet bite of spring and it’s the delicious main ingredient of the 5th annual Franklin Farmers Market Strawberry Festival which gets underway Saturday, May 16th beginning at 8am. It’s a fun celebration for the entire family with music, kids’ games, and plenty of delicious fresh strawberries grown on Middle Tennessee farms. 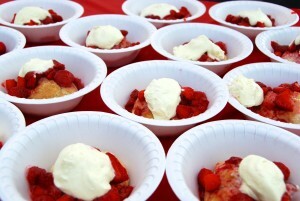 Mouthwatering homemade strawberry shortcakes, made by Norton Family Farm will be available. Topped with sweet berries from the farms of the market and a dollop of Hatcher Family Dairy whipped cream, the shortcakes are a festival favorite. We will also have strawberry donuts from Ellie’s Old Fashioned Doughnuts. Proceeds from the shortcake and donut sales benefit the Franklin Farmers Market and the Franklin Farmers Market Educational Foundation. The Franklin Farmers Market is a non-profit agricultural organization dedicated to keeping Tennessee farms growing. 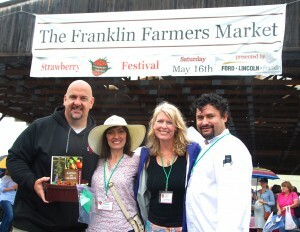 The Franklin Farmers Market Strawberry Festival is presented by Ford – Lincoln of Franklin. 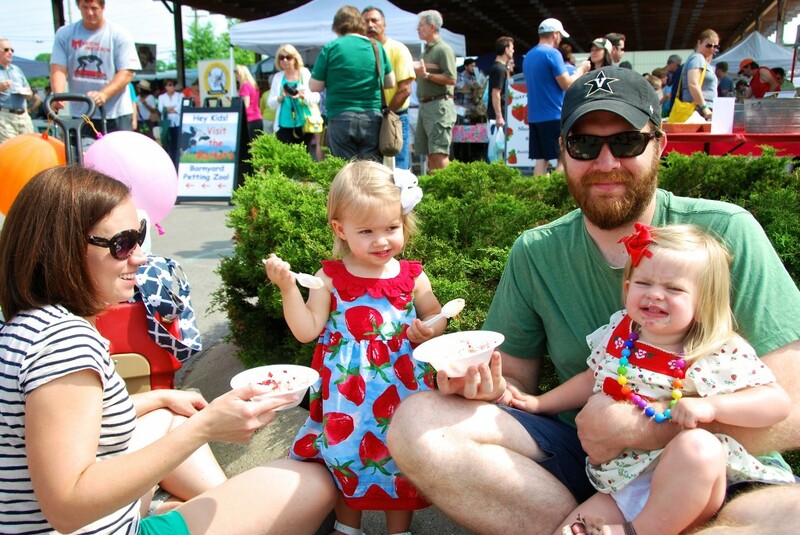 Besides all of the fresh berries at the Franklin Farmers Market Strawberry Festival, festival attendees can also enjoy a wide variety of fresh produce and goods from Tennessee farms and beautiful, unique arts and crafts from local artisans. 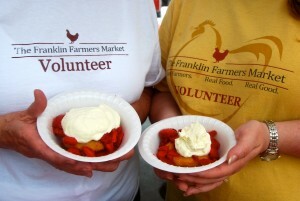 Admission to the Franklin Farmers Market Strawberry Festival is free. The Franklin Farmers Market is located at the corner of Liberty Pike and Franklin Road, behind The Factory. 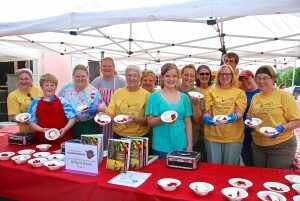 Would you like to be a Strawberry Festival Volunteer? Visit our Volunteer sign up here. This entry was posted in Market Saturday News on May 8, 2015 . 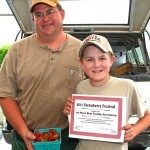 Volunteers for Strawberry Festival Needed! opportunities throughout the day of our strawberry festival and the day before prepping strawberries. A Volunteer Schedule will be emailed to all volunteers. And you will receive some strawberries for your time! each week. We appreciate your time and consideration!!!! *If you still would like to volunteer after the deadline for sign up has passed, call Ryan Palmer, Events Manager at 615-310-3758, there may still be opportunities to volunteer. 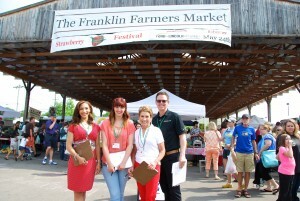 Thank you on behalf of the Franklin Farmers Market! What’s the Best Local Breakfast you can Eat? I love cooking what I consider to be the best local breakfast you can eat with all ingredients coming from the Franklin Farmers Market behind the Factory in Franklin Tennessee. The eggs are farm fresh, the spinach, green onions and mushrooms have just been harvested the day before. 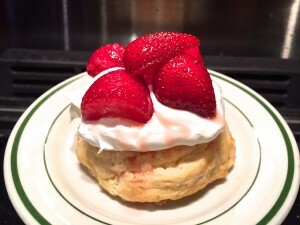 The beautiful sweet strawberries top a freshly baked shortcake with local dairy cream. We are blessed to live in Tennessee rich with agriculture and farms dotting our entire state. There is no better taste than local farm fresh food! And we have the largest assembly of farmers at our Tennessee farmers market. For breakfast, I used fresh farm eggs from Moonshadow Farm. Our market eggs are free range and have a bright orange yolk with a wonderful fresh flavor. Brenda of Moonshadow Farm treats her chickens like children, protecting them from hawks and wild animals. 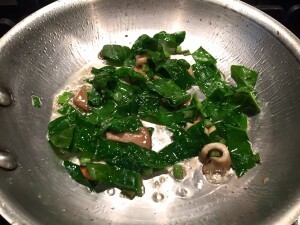 I sautéed some green onions and spinach from Rocky Glade Farm along with some blue oyster farm grown mushrooms from Colvin Family Farm. I used bacon grease from the market bacon I just prepared. Once slightly sautéed I then added two fresh eggs from Moonshadow Farm. I lightly scramble the eggs with the sautéed farm fresh ingredients just picked up at the farmers market. Karen’s shortcakes are the best! The most exciting part of this breakfast is the time of year it is. 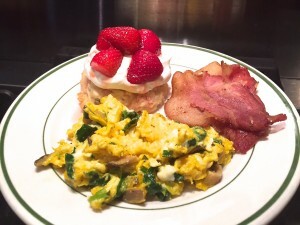 This best local breakfast is made possible by the star of the day, local strawberries from Kelly’s Berry Farm! We had over 1,200 pints of strawberries at the market and all we’re so beautiful and sweet. 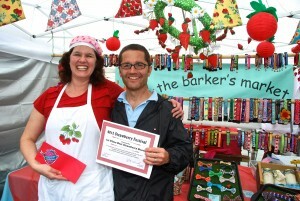 Karen of Norton Family Farm had her customer favorite shortcakes at market. These are the best tasting shortcakes you will find in Williamson County. With Karen selling out of her shortcakes by 11am, she was kind to save me two I could use for breakfast this morning. The whipped cream from Hatcher Family Dairy was the perfect white bed for the sweet strawberries to sleep in. Folks, this Best Local Breakfast, was better than the pictures communicate. It was simply “Local Fabulous”! Come visit our market next week and enjoy fresh local food from the Franklin Farmers Market. Your taste buds will rejoice, and your body will be thankful for a week of nutritious local food. 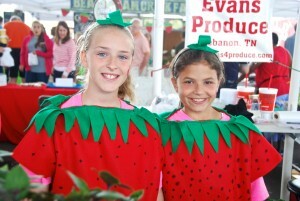 Our Strawberry Festival is May 16th! See you all Saturday, new summer hours 8am till 1pm! This entry was posted in Market Saturday News on May 3, 2015 .